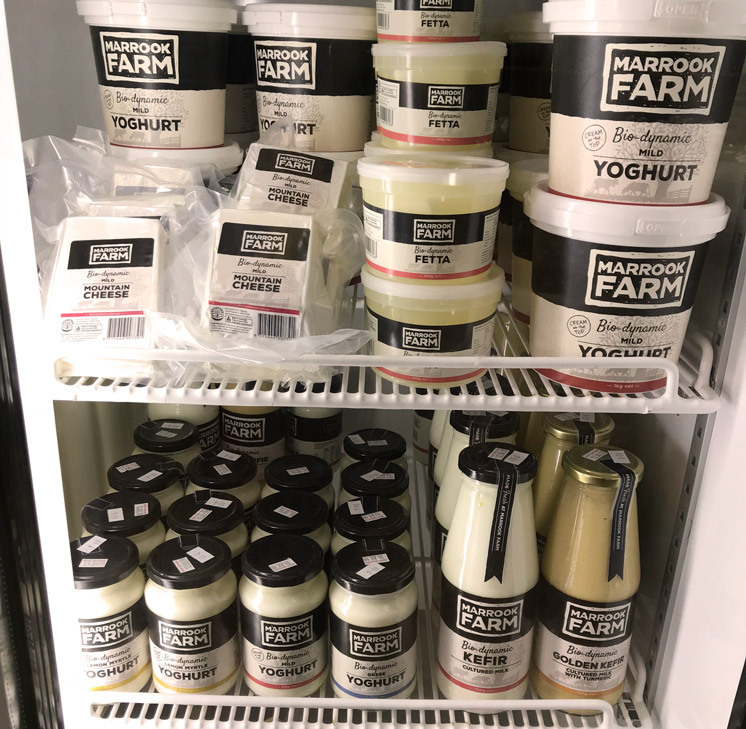 Marrook Farm is a biodynamic dairy producer from Elands, NSW. They came to me with a successful range of yoghurts, cheeses and other dairy products that had been packaged inconsistently. 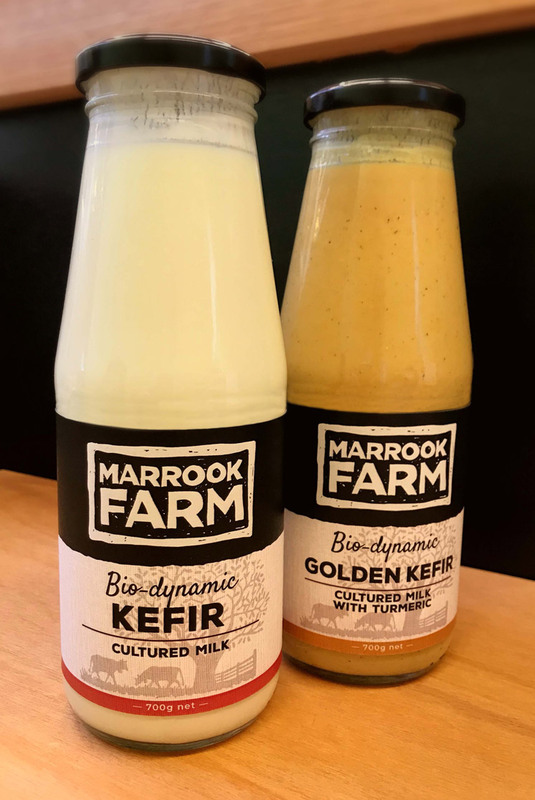 With the launch of a new Kefir product, it seemed the perfect time to look at their brand and create a more consolidated look that also appealed to customers of the increasingly competitive organic “boutique” food market. The client wanted to reflect the hands-on approach to creating their product. The brand had to feel organic and connected to the earth, as the whole biodynamic process is all about that. It also had to stand out in a busy store environment crammed with competitors products. The hand-drawn logo gives the brand a bold, home-made personality. The strong, black band contrasted with cream makes for a simple and bold look that is amplified when the product is lined up side by side on the refrigerator shelves. A hand-drawn graphic of cows under a tree on a cheese-cloth texture adds personality and warmth. A subtle strip of colour at the base distinguishes one flavour of yoghurt from another. 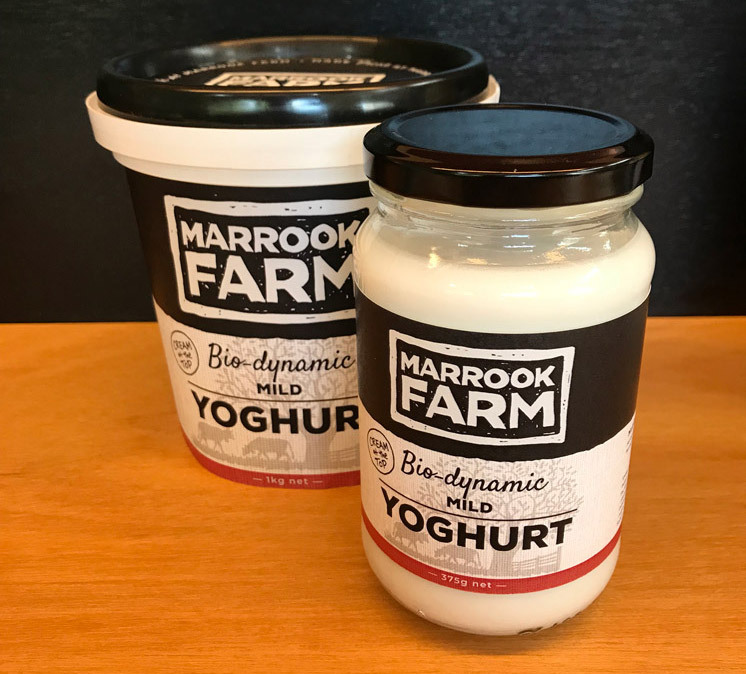 The brand has been applied to a variety of products including a range of yoghurts, cheeses and the new Kefir product.